As long as they don't start looking like a NASCAR drivers jacket, one small ad isn't too bad. My advertising staff will hit the ground running with this one.What team will get the honor of wearing the CBB logo.So many still to choose from. My guess is MLB never goes this route. If there's one sports jersey in the U.S. that's considered sacred, it's those of Major League Baseball. Imagine a McDonald's logo on a Cubs jersey. Yuck. I can live with small ads on sweaters (!!! hockey) and jerseys. As long as we don't get to the point of what soccer-(global) football uniforms are like, where you have Emirates playing Samsung. I despise that. It is one of the many things that turns me off watching any non-national/international soccer-football match. The CFL has been doing this for years and as terrible as it looks, I figured it would onlyu be a matter of time before other, "bigger" leagues would follow suit. I wonder how long before the NFL starts putting adds on the field. I hope never but greed always wins out in the end. "...and now taking the court, your ROGERS RAPTORS"
Don't kid yourself. It's coming. "Your Toronto Mike Toronto Marlies !" It's "free money", after all. Same ad breaks as always. How long before this becomes a major issue in labour negotiations? I'm sure players will want a healthy cut of this new revenue. I have bought a Raptors jersey. I go to about 11 or more games a year (tonight in fact!). If they put a logo on the jersey, I don't think I would buy one. It may depend on the logo but, for example, if it was a Pepsi logo then I would never buy one. Although I have sat here and thought about what company I wouldn't mind on the jersey and I have come up empty. It's already part of the NBA's CBA. I know that there will be a time in the distant future when we won't remember life without ads on jerseys (same as ads on rink boards) but right now, I can't tell you how much I hate this. Those who think the logos will stay small, don't kid yourselves. Greed will triumph once the floodgates are open. Have you seen a hockey game in Europe? That will be the future. Hopefully the distant future. The first time I really noticed advertisements on jerseys was watching The Spengler Cup where they were covered from helmet to skate blades with advertisements, and I found it completely distracting. 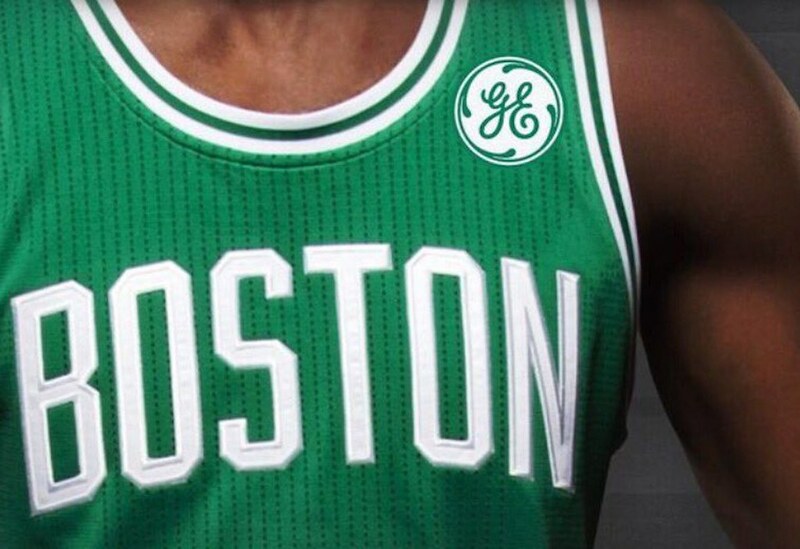 My opinions have not changed, and while a discreet GE logo on the Celtics jersey I have no issue with, it is the inevitable expansion on the jerseys and elsewhere that Toronto Mike refers to that concerns me more. On the subject of sponsors -- I was at Mosport a few years ago for their American Le Mans Series weekend, and saw 'Daily Planet' on the side of a car in one of the preliminary races. I wondered if it was the TV show, something to do with DC Comics/Superman, or maybe something else. The driver was Australian, and Daily Planet was actually the name of one of the biggest brothels in Melbourne.